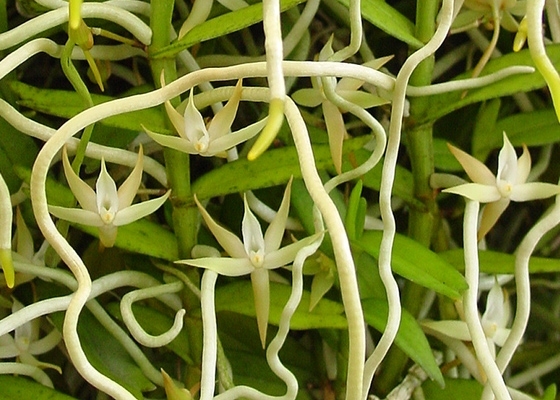 This African epiphytic species sends out attractive curly roots and creamy-white flowers. A resilient plant, great for any conditions, even in cold down to 28 degrees F! 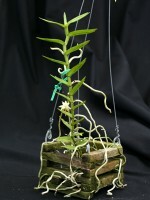 This plant blooms several times a year, the one-inch flowers blooming out from the leaf-nodes along the plant's main stems. .Temperature Tolerant. March - April blooming. Species from Africa.